How to save Outlook emails as DOC files? You are here: CoolUtils > Outlook Viewer > How to save Outlook emails as DOC files? CoolUtils Outlook Viewer has been around for only a few days. This simple and versatile utility shows you a way around using Outlook when it comes to opening PST files. Free and user friendly, it saves email messages in any number and in any format you like. The interface is laid out in such a way that you can see where your PST files can be found, how many of them you want to process right now and whata information they contain. This program allows you to create reports with field lists. You can either include one or a couple of fields in your report, or you can make a complete report with all lists included. The short video shows how to extract the list of senders from a PST file. You can run this program from the desktop as well. 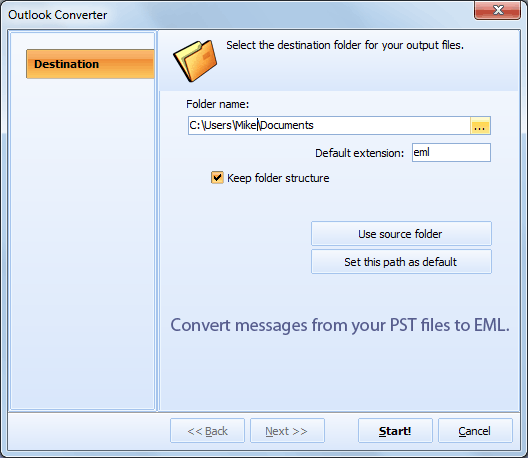 Open the folder with PST files, right-click on one and select Convert to. Finally, this program features command line support, so you can manage your emails from within any program while operating it. 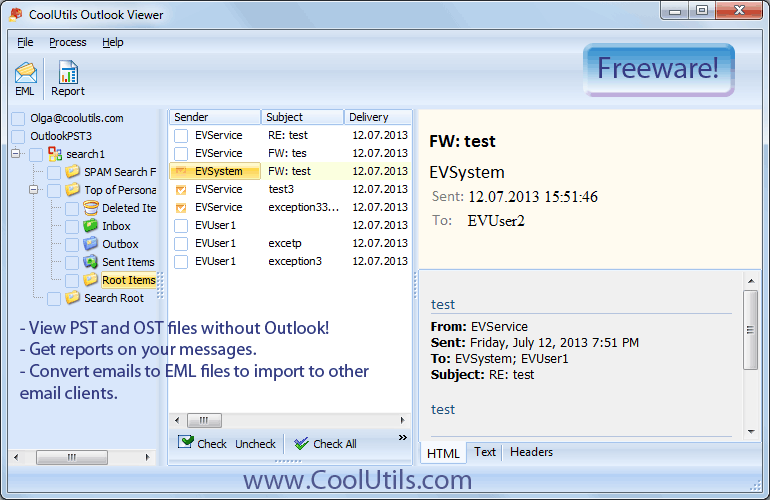 First, you launch CoolUtils Outlook Converter and view the folder tree in the left-hand pane. Select the folder with PST files and view the PST list in the middle pane. Click on a file in the list to view its content in the viewer pane on the right. Check one or a few files manually or press the Check all button and have them all checked. Click on the Report icon and follow the wizard's options. 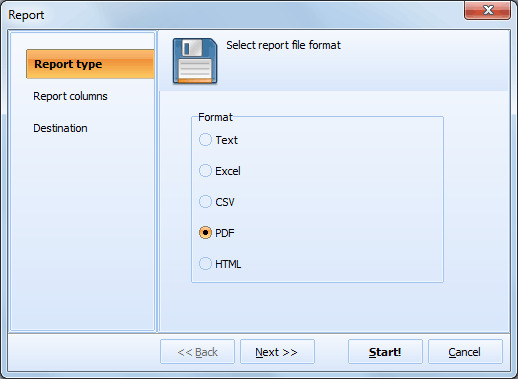 You can make the following report types: Text, Excel, CSV, PDF and HTML. Move on to report lists. You can include 12 lists in your report. Tick the ones that you want to see in your report. The Sender field comes first in the list, so check it. Move on to the next option to set destination for your report. You can use the initial folder and set the program to memorize the destination path and save all your future reports in this folder.